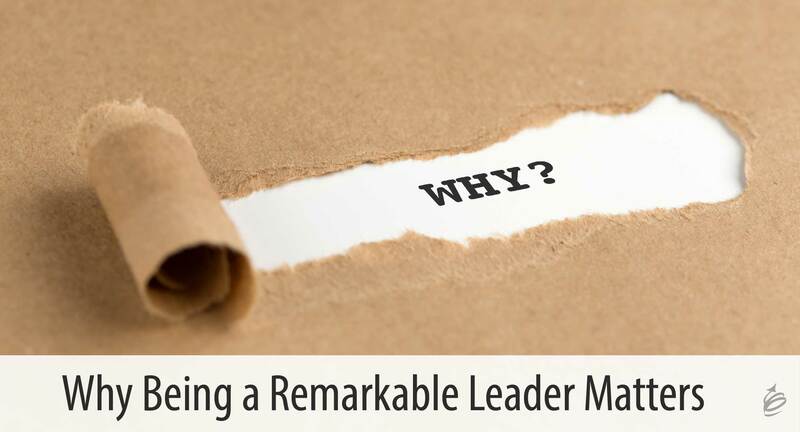 Why Being a Remarkable Leader Matters Your leadership why - it's value and importance. Being a leader is complex and difficult. It is understandable that we can get frustrated with things we are trying to improve that are complex and difficult. Being a leader is also important. Remaining aware and ready to improve can be a challenge, unless you know why leading is important to you. I call this your leadership why. Unless you are clear on your leadership why, it is highly unlikely you can become the leader you want and need to be. I can’t tell you what your leadership why is or should be; that is for you to determine. Rather, I can encourage you to think about it and give you a list to consider. 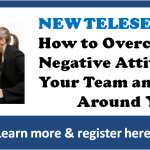 Chances are, most of your frustrations at work relate to other people. If you had the right tools to influence more effectively, accomplish more through others, and reduce the drama in your workplace, would your frustration level drop? As you become a more effective leader, the number of things that will frustrate you (and the severity of those frustrations) will drop. Most leaders are busy. They have a full plate with their work itself, let alone all the work of leading their team. And many of those same leaders are holding onto work that could be delegated and shared. 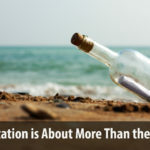 Delegation isn’t just about shifting the work. It is also about providing others the chance to grow, build skills, and prepare for their future. As a leader, you will always have plenty to do, but the best leaders have a better balance at work. This gives them the chance for better balance in other parts of their life too. Have you ever looked at the day in front of you and wished you knew how to handle some of the challenges you see? Have you wished you had more tools and experience or even a clue how to proceed? Leading is hard, and while you will never have all the answers, as you become more effective, your confidence will grow. Having greater confidence that you are doing things effectively might be your leadership why. Think of someone who coached and encouraged you to be more successful. How do you feel about that person? Would you like others to feel that way about you and have the deep personal satisfaction that comes from helping others improve? As a leader, you have an over-sized chance to influence others. Remarkable leaders help others improve, both in their current role and for the rest of their lives. Ask most people later in their career what they hope for and they will say, “I want to leave things better than I found them” – which is one way to describe leaving a legacy. But that needn’t be a wish only for the twilight of your career. Think about it this way – nothing great happens without someone leading. If you want to make a difference and know that your influence moved a team or an organization in a direction that made a difference, you may have found a very powerful leadership why. I can’t tell you what your leadership why is or should be. But I can give you a list of great reasons why being a better leader is valuable and important. While this isn’t a complete list, my hope for you is two-fold; to help you identifying your leadership why, and give you a list that might help. Soon, I will be releasing a 4-part video series titled The Journey to Remarkable Leadership: Why being a better leader will change your work, your results and life – and how to get started now. 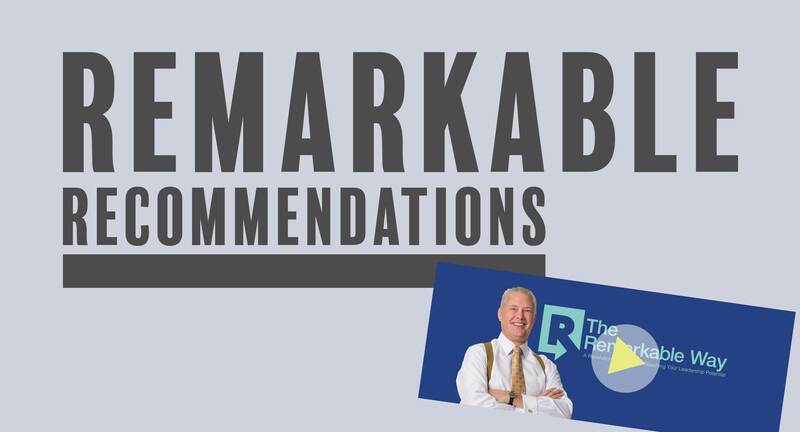 The first video unpacks what I have talked about here even further (with more reasons why), and the rest of the series takes you beyond your leadership why to highly effective ways to become that Remarkable Leader. 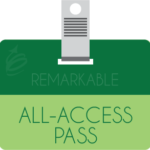 Join the list now to gain access when it becomes available.